Elderberry, also known as elder and elder flower, is a type of flowering plant. There are several species of elder, but the European -- or black, elder-- is the type used in medicinal therapies, particularly its white flowers and berries. This elderberry is a shrub or small tree mostly found in Europe, Africa, certain areas of Asia and is now widespread the United States. 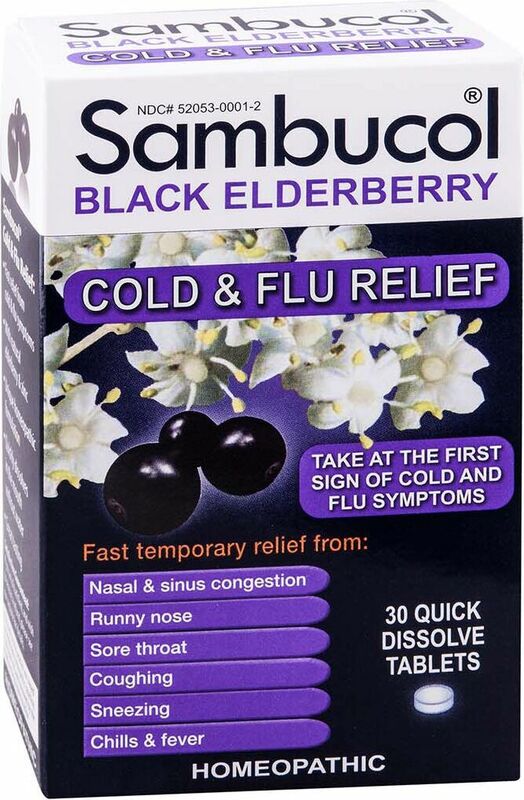 In traditional folk medicine, elder berries have been used for their antiperspirant, properties and to facilitate evacuation of the bowels and bladder. The flowers were believed to have a variety of purposes, from controlling perspiration to treating coughs, stimulating the circulation system, and for the treatment of topical inflammation. 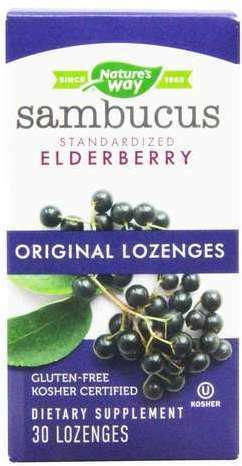 Forms of elderberry include dried, syrup, lozenge, capsule, and tincture. For treatment of influenza, take 1 tbsp (15mL) four times per day for three to five days. 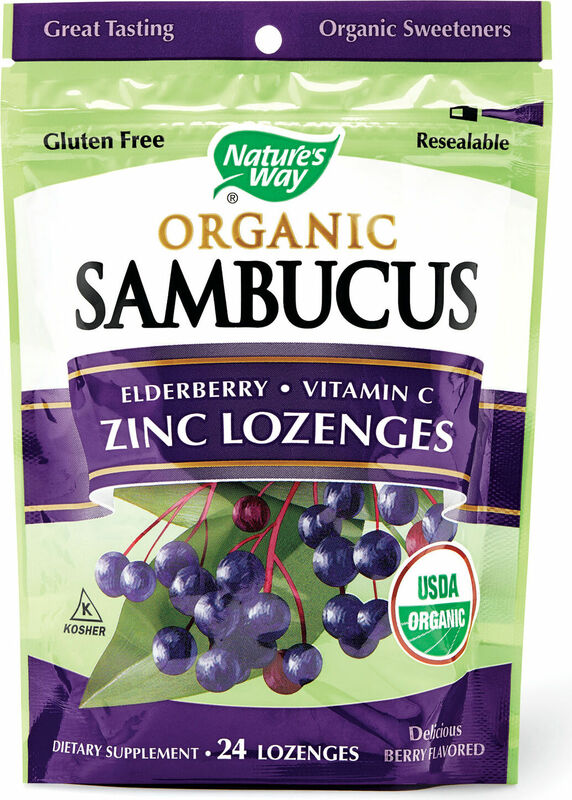 Elderberry lozenges contain 175mg of the active ingredient. It is recommended to take four times a day for two days. To make elder tea, add 3g to 5g dried elder flower in 1 cup of boiling water. Steep for 10 to 15 minutes then strain. 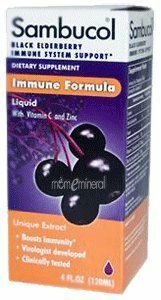 For the treatment of the flu in children, administer 1 tbsp. (15mL) twice a day for three days. 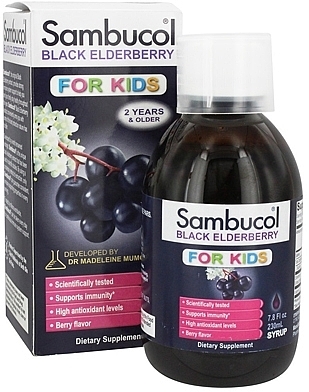 Talk to your pediatrician before giving a child any product contain elder. 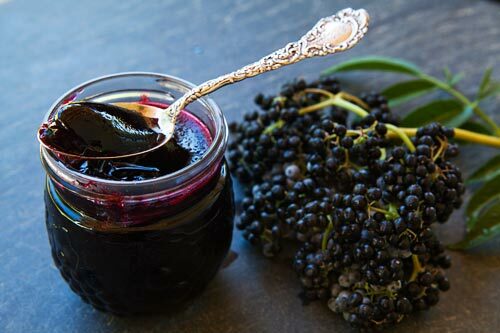 Elderberry contains iron, phosphorous, vitamin A, vitamin B6, and vitamin C. Like other berries elderberries are used in jam, salad dressing, sauces, juice, wine, and beer. Dried berries are used in breakfast cereals, ice cream, and yogurt. The flower, while used less often, is used as an ingredient in alcoholic beverages and fritters. Elderberry is one of the healthiest foods out there for those watching their cholesterol levels. Elder contains nearly 27g of carbohydrates (fiber contains about 10g). 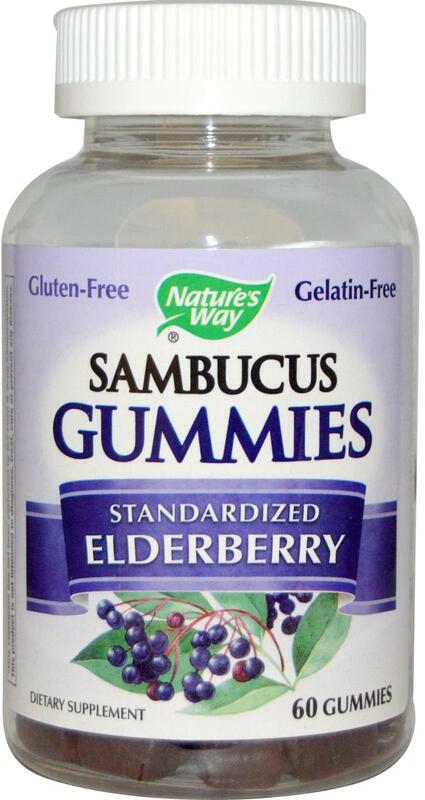 One serving of elder has 0.96g of protein, 55.1mg of calcium, 2.32mg of iron, and 406mg potassium. 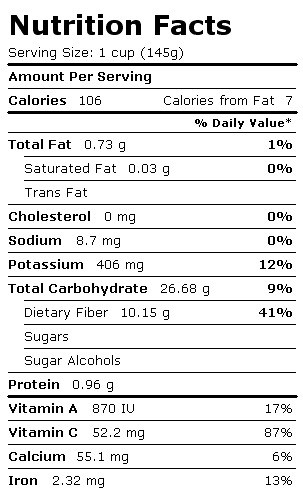 Additionally, a single serving contains 870 IU vitamin A. 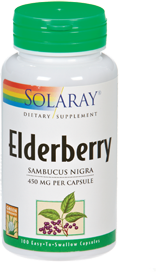 Note that the Food and Drug Administration does not regulate supplements, including elderberry. Before using this supplement for medicinal or health purposes, talk with your healthcare provider. Always talk to your pediatrician before giving your child a vitamin, supplement, or herb -- especially for medicinal purposes. Before elderberries can be consumed, they must be cooked. According to the University of Maryland Medical Center, "Raw berries contain a chemical similar to cyanide." Medications that curb the immune system. Transplant patients should avoid elderberry. Water pills (diuretics): Taking elder can increase your risk of becoming dehydrated since the berry also acts as a diuretic. 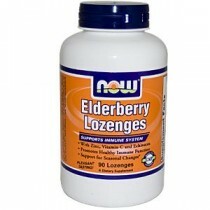 Laxatives: Elderberry acts as a laxative. Taking a prescription or over-the-counter laxative could worsen your symptoms. 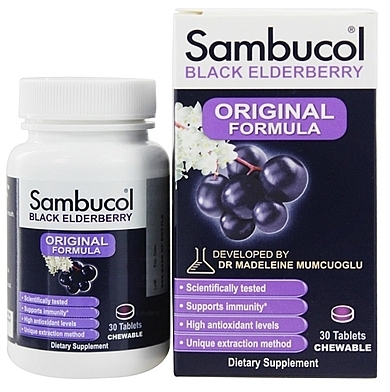 Diabetes medication: Elderberry increases the chances of developing hypoglycemia or low blood sugar if taken with medications used for controlling diabetes. Asthma medication (particularly Theophylline): Elder may interfere with the ability of your asthma medications working properly. 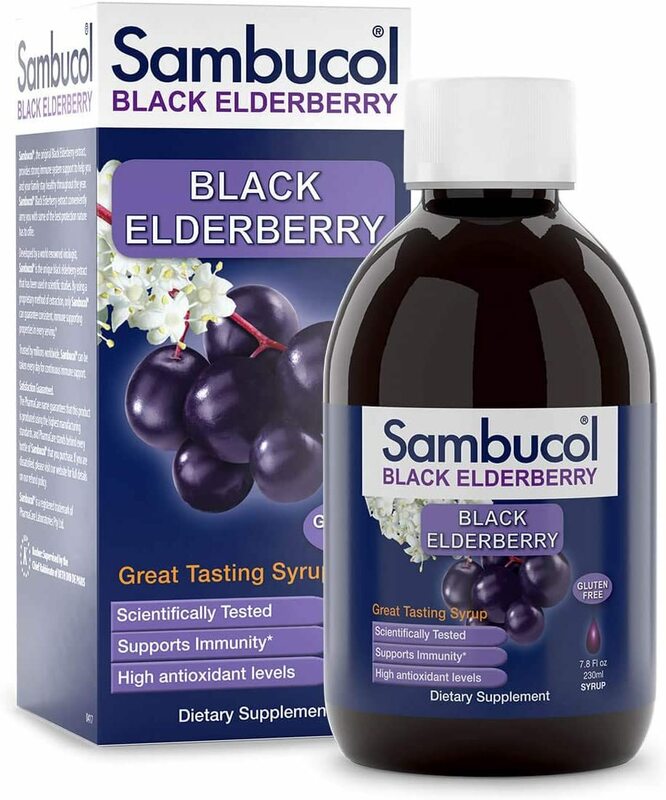 Limit use of elderberry juice extract to a maximum of five days. Do not consume raw or under-ripe elderberry fruit. It may cause vomiting, nausea and major diarrhea. Do not consume elderberry during pregnancy or while breastfeeding. Elderberry may boost the immune system and, thus, aggravate symptoms of autoimmune diseases (multiple sclerosis, lupus and rheumatoid arthritis, for example). 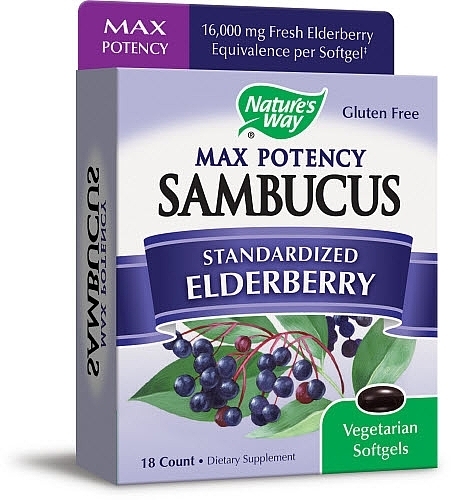 Although we don't sell elderberry, you can compare quality, brands, and prices from a variety of manufacturers here at PricePlow. "Natural" doesn't always mean safe. Play it smart. Follow directions and consult a qualified healthcare professional for more information before using natural products, including elderberry.